On this final trek, Stevie concludes his journey through the land where it all happened! Have you ever wanted to float on the Sea of Galilee and see where Jesus walked on water or wondered how Jesus grew up and where he performed his miracles? Well Stevie is in the land of the Bible to find out! We could spend our whole lives reading the Bible, and still find amazing new things every day. But for this trek, Stevie is going to come to the end of the one story that flows throughout the whole Scripture. We have seen its many different heroes and villains and discovered even more twists and turns! 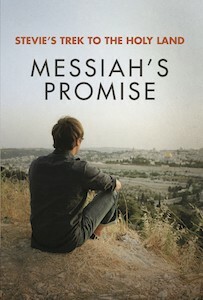 Uncover the life and ministry of the Messiah and join Stevie as he discover how God uses one man to keep a promise designed for the whole world!